Walt Disney Animation Studios' Ralph Breaks The Internet opens in theaters November 21, 2018. I am super excited, I've been waiting for this sequel for a long time. In RALPH BREAKS THE INTERNET, video-game bad guy Ralph (John C. Reilly) and best friend Vanellope von Schweetz (Sarah Silverman) leave the comforts of Litwak’s arcade in an attempt to save her game, Sugar Rush. Their quest takes them to the vast, uncharted world of the internet where they rely on the citizens of the internet—the Netizens—to help navigate their way. Lending a virtual hand are Yesss (Taraji P. Henson), the head algorithm and the heart and soul of the trend-making site “BuzzzTube,” and Shank (Gal Gadot), a tough-as-nails driver from a gritty online auto-racing game called Slaughter Race, a place Vanellope wholeheartedly embraces...so much so that Ralph worries he may lose the only friend he’s ever had! To celebrate Ralph Breaks The Internet theatrical release on November 21, 2018, we're hosting a Disney Blogger giveaway to give you a chance to win a Ralph Breaks The Internet Gift Pack — valued at over $130! And co-hosted by: Comic Con Family, My Mommy Style, Classy Mommy, Mamas Mission, Cleverly Changing, WhollyART, Jay's Sweet'N'Sour Life, Raising Three Savvy Ladies, A Savings WOW, Clementine County, Picturing Disney, Pretty In Baby Food, and The Jedi Father. 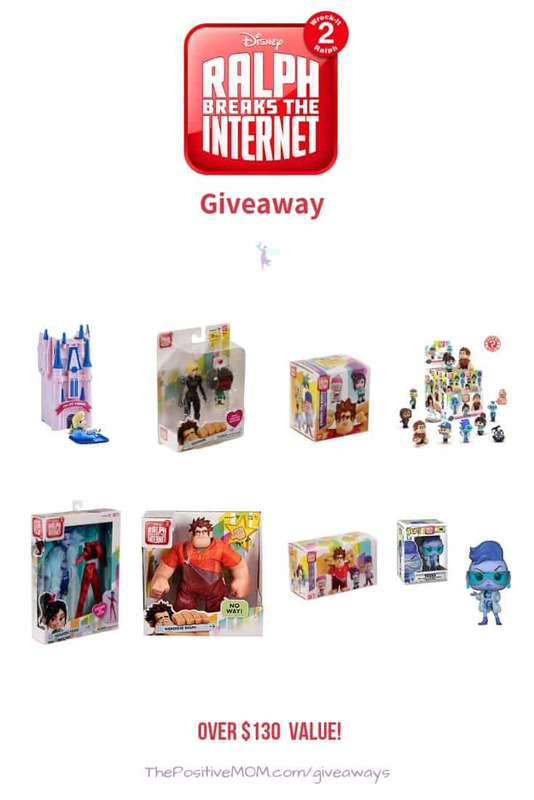 One (1) WINNER in the U.S. over the age of 18 will receive a Ralph Breaks The Internet Gift pack, with new collectibles and toys inspired by our favorite characters from the film. All entries will be verified, so make sure they go through. 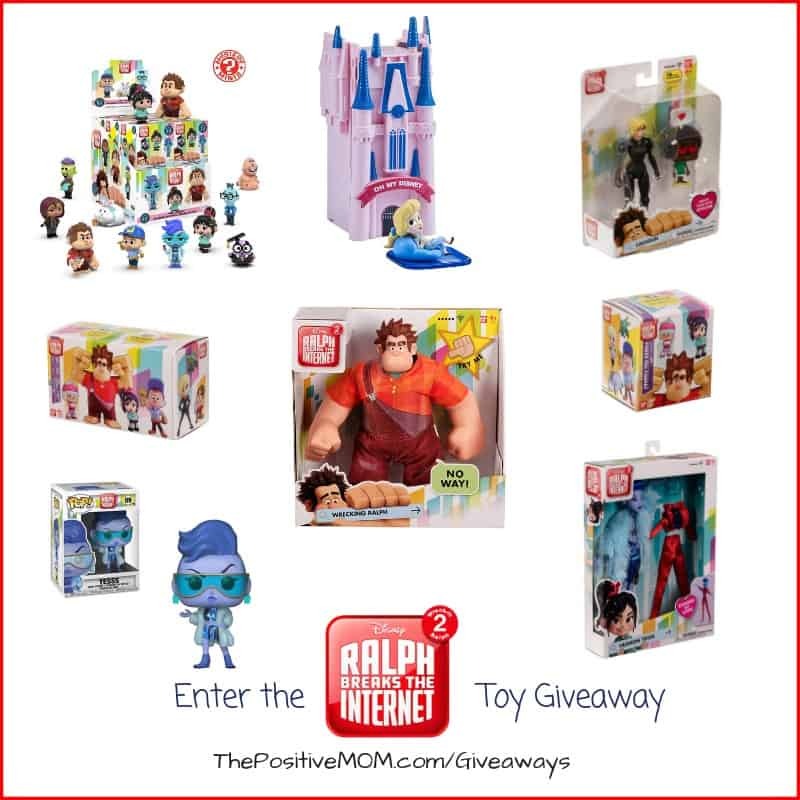 ENTER NOW for your chance to win this Ralph Breaks The Internet Gift Pack! Giveaway runs until November 24th, 2018, 3 days after it releases into movie theaters! Be sure to follow the hashtags #WreckItRalph, #WreckItRalph2, and #RalphBreakstheInternet! Can't wait for this movie either! We are going to watch it when we are at WDW next week and hope to snag some special Ralph inspired treats at the Christmas party! SO looking forward to this movie! Even better if I win the contest! LOL!